These past weeks have been very busy for the studio and Hacktag so if you don’t already follow us on social media we thought we might give you a quick recap of our latest adventures. For a more dramatic effect, I suggest you read the following report with a deep and epic voice, you know, just like the one in movie trailers. But read it in your mind, of course, not out loud, especially if you are in public transports or at work, it could be embarrassing for you. Though it could turn into some weird sort of advertisement for us. Hacktag was part of the game selection at Indiecade, Los Angeles. Last year, Hacktag was nominated at the first edition of IndieCade Europe, the festival dedicated to independent video games where we had the great surprise to win the audience’s choice award. For this reason, we had the opportunity to bring the game to the 10th anniversary of indieCade held in Los Angeles in October for some demo sessions. IndieCade is always a great celebration of video games in all their creativity and diversity and we were really happy to be part of it again. We got to meet many great people among players, other devs and press such as Venturebeat who gave us the opportunity to talk about Hacktag and who picked our brains about co-op gaming. Oh and this year we were smart enough to bring a friend with a camera so here is a glimpse of the event. 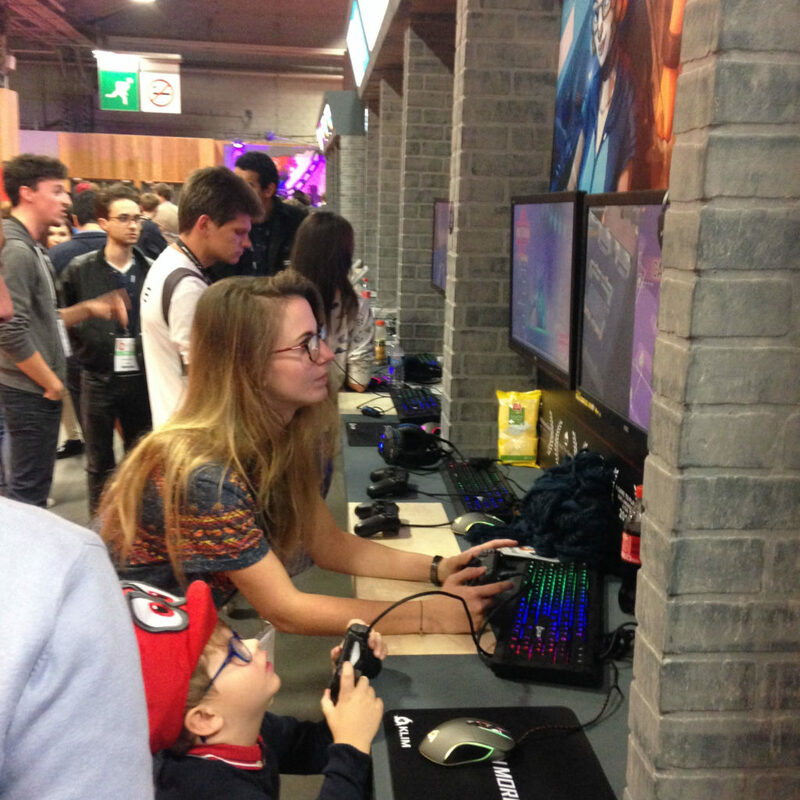 Hacktag at Paris Games Week 2017. 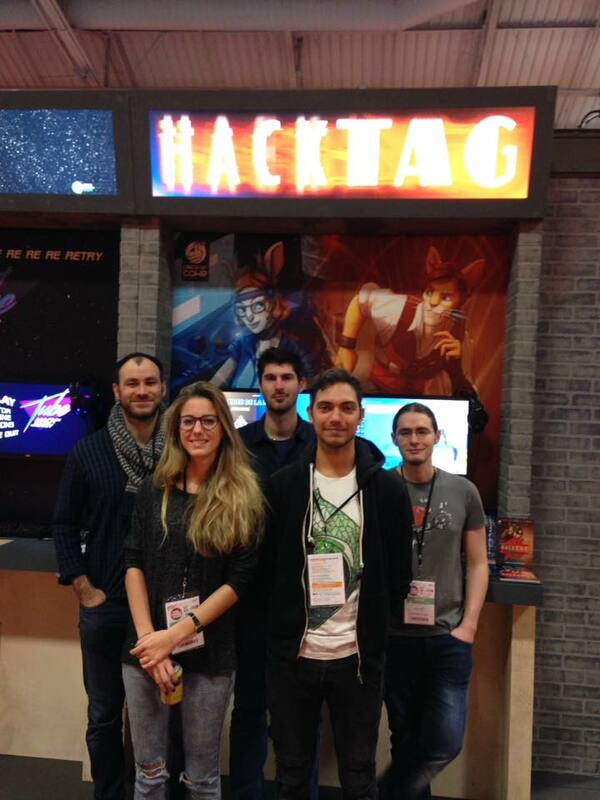 Oddly enough, we may be French and based in Paris, but we have not had many opportunities to show Hacktag in France so far. 🙁 Thankfully 10 days ago we had our revenge thanks to the big week of video games held in Paris with many events related to our favorite passion such as the Ping awards ceremony (where Hacktag was nominated as Best French independent video game), but also the Paris Games Week. This year and for the first time we featured the game at the PGW in the “Jeux Made in France” area during six exhausting – but fun – but exhausting – days. The coolest thing in showcasing the game at home is that the whole team is able to be there to show the game (well not everybody, some are still stuck on their chair working on the network code, sorry about that Xavier! 😉 ). So we all had the opportunity to meet some fans of the game, even member of the Discord server, and exchange with other devs. It’s always really emotional and motivating for the team to be able to see the results of months of works through people’s reactions. Behold ! Here is part of the team with our morning faces. So young and already hacking corporations, I know, cute right ? Mashable France , Gamingway, or Mashable France , l’info tout court. ← Press release: Hacktag celebrates Hackoween with an important update and a special trailer.